The majority of internet users are used to preparing their documents using the DOC format and then transforming them to PDFs. Others may scan paper documents to create their digital copy and then rotate the vertically scanned pages. Such procedure take a lot of time and the results are not always satisfying. 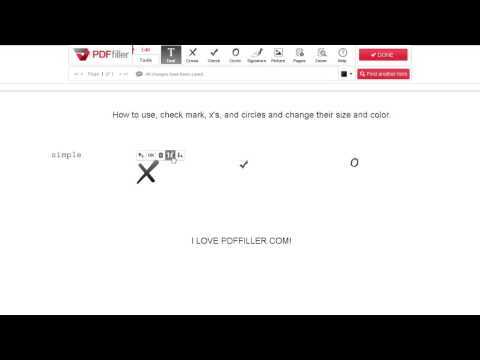 It is not necessary to work with numerous programs and hardware anymore, PDFfiller has developed a multifunctional PDF creator that covers all the user needs. This powerful toolkit provides users with the ability to edit existing PDF files or create new ones. Any contract, form, agreement or guest list can be filled out in an online PDF creator. The most important thing is that the solution is good for both Windows and Mac systems. It should also be available for mobile devices so as to be installed as an app on smartphones. Catering to these peculiarities combined with the most trustworthy security measures makes PDFfiller the best cloud-based PDF form creator. No additional software or tutorials needed as a document can be created or edited with any internet-connected device. To begin using the PDF creator, select a document from “My docs” or drag and drop a template from the internal storage of your device. In addition, the needed file can be imported from the cloud services or via third-party connections. If the template contains fillable fields, be sure to include all necessary data. To add fields manually, use the “Text” tool or select the “Add fillable fields” section. Choose from a wide variety of boxes such as text, number, dropdown, checkbox, photo or signature fields. The style of the text can be changed according to the font type or size, or it can be bold, italicized as well as underlined. To resize the box containing the information, use the arrow in the left top corner. If you add a checkbox to the document, place it directly in front of every item. In order to customize the checkbox, add a note and data field name. The data field option helps to gather information from several individuals faster. It won’t take more than a minute to submit the fillable form. Finally, a user can request a signature from one or several users with the help of the “Send to sign option”. The additional security measures help make the process of document sharing safe. Users can protect documents with a password, HIPPA compliance or verification. The receiver may provide his phone number, photo or get access to a document via a social network. The user may download the final version of a template for printing. All documents are saved in your personal profile. As a result, every sample is easily accessible from any device and does not take up extra memory on your device. PDFfiller is a web-based PDF creator & editor. With PDFfiller, you can search for, edit, store and export PDF documents online without downloading and installing any software. 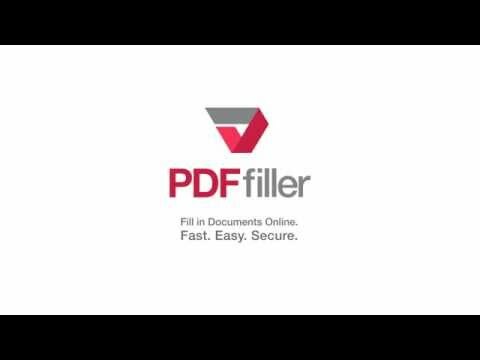 PDFfiller also allows you to access and modify your PDF documents from any device anytime. How to convert (or turn) PDF to (into) editable document online? 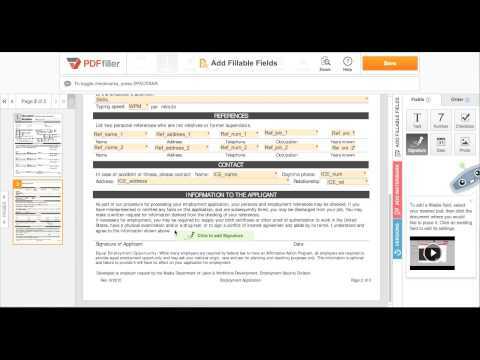 PDFfiller can convert any PDF to editable document online. Upload the PDF to PDFfiller's cloud storage and you can click anywhere to start typing, writing and editing in the document. With PDFfiller, you can enter text, fill in form, insert images and e-sign the editable document online without downloading and installing any software. How to make PDF document editable? PDffiller can make any pdf document such as application form, license form, certificate, contract and more documents editable. Upload the PDF to PDFfiller's cloud storage and you can click anywhere to start typing, writing and editing in the document. With PDFfiller, you can enter text, fill in form, insert images and e-sign the editable document online without downloading and installing any software. Upload the document with PDFfiller.com Uploader or select the document in "My Forms" page. Fill in the information that you want your template to always contain and click "Done" button to return to "My Forms" page. Select the filled document and click "T"--"Template" button. Your document will be converted into a template. Every time you open the document, you will be prompted for a new document name and a new one will be created. The template itself will remain unchanged and ready for use. If you need to edit the template, simply select the template form in "My Form" page and click "Template" button. The template will be converted to a regular form. You can edit and convert it to a template later.